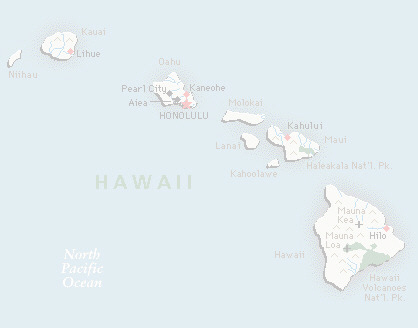 Since 1991 the Federal Census Bureau has reported that there are more people of native-hawaiian ancestry residing in the Southern California & Nevada, than anywhere else in the world, including the State of Hawaii and the numbers are increasing. It is the mission of this halau to provide those who are interested with an education in the history, sociology, language, song and dance of the native inhabitants of the Hawaiian Island Group located in the Polynesian triangle of South Pacific. To share the concepts of the "Aloha and Lokahi" in a fun and wholesome, traditionally-hawaiian atmosphere. We emphasies in reaching out to those displaced Kanaka-maole in the mainland, with the hope of instilling in them the desire to return home and reclaim their heritage and homelands. The kumu, Kuuipo Kanamu-Grube, started dancing when she was five years old and after thirty years she continues on as a teacher. She is a native-born Hawaiian and enjoys a celebrated hula genealogy that goes back five generations. Her grandfather, Papa Kanamu, was pure Hawaiian and Tutu was three-fourths Hawaiian and one-quarter Chinese. Her first kumu was a man named, Arthur Akau (Prince Hinano). Through his love and patience, Kuuipo found her life’s passion. Since then there have been other kumu; Erla Paoli, Jean Kalani, Netty Fernandez-Tiffany, and several workshops with Uncle Joe Kahaulalio. Kuuipo has a formal education with a bachelors-degree in political science; However her education in “all things Hawaiian” comes from the tutelage of her Hawaiian elders. The person who has been the greatest influence on Kuuipo’s hula has been her mother, Aunty Leikula Kalawaia Kanamu-Alvarez. As a hula dancer, Kuuipo has performed all over Southern California & Las Vegas, and her hula has taken her as far away places as Mexico, Japan, Korea, Hong Kong and Bangkok. Kuuipo has been sharing her craft, as a teacher and choreographer for more than ten years. Aunty Leikula, now retired, is well known as a performer both in the mainland and Hawaii. While she lived in Molokai she was Alaka’I to hula master, Edith Mackenzie. On Oahu, she studied oli with Kaupena Wong for several years and worked with Uncle Sam Naiole, the founder of Hula Halau O Kamuela. Aunty Leikula danced with venues such as Kai Davis, Genoa Keawe, Sally Wood and Rene Brooks. In 1989 Aunty Leikula gave Doug and Kuuipo her blessings to start the Halau and named them “Halau Hula O Ke’ala Laua’e”. Although she is retired, Aunty Kula continues to mentor them as the halau grows. The Halau has performed at a number of local hotels here in San Diego and has represented the Hawaiian community at the “San Diego Pacific Islander Festival” for several years, as well as hosting its own luau and workshop series. The Halau also does a number of benefit performances and charity work for the local homeless shelters, community churches, convelescent hospitals and schools. They still have in its ranks five of the six original dancers.